Summer clip art can be a great addition to your summertime projects for home, work, church, or just about anything else. Kids will love to add the colorful images to their projects too. These fun summer clip art images of beaches, sunshine, animals, vacationers, camping, grilling, and flowers, will add so much fun and intrigue to your project. To download this free summer clip art, click until you can get the largest image possible and then right-click to save it to your computer. For specific summer events, you can also find clip art resources for The 4th of July, Memorial Day, and Labor Day. Tip: Get creative! Other good sources of summer-themed imagery can be found on children's coloring pages and in decorations on word search printables. There are some big, bright, and colorful summer clip art at Webweaver's spread across 3 pages. Be sure to check out the related clip art categories at the bottom of the pages for more summer clip art images. Clipart Panda has 50+ free summer clipart images of grills, bikes, suns, palm trees, surfing, camping, reading, beach balls, butterflies, flowers, watermelon, beaches, and more summertime fun. To download an image, click on the thumbnail and use the Download button to download the largest image. You'll also be able to see the views, downloads, file type, and clip art dimensions on this page. You'll find 3 pages of fun summer clip art over at the Free Clip Art Store. The images include suns, beach-goers, beach toys, watermelon, surfing, camping, and even some summer-time drinks. You'll need to click on the summer clip art image to see it full-size. There are hundreds of free summer clip art images that Clker. You'll find images of watermelons, beaches, sailing, flowers, flip flops, beach balls, trees, picnics, grills, suns, and much more. All the clipart here is available as .PNG files and can be downloaded in small, medium, or large sizes. MyCuteGraphics has a great collection of free summer clip art that includes individual collections of kids in the summer, beach, flip flop, palm tree, and surfboard clip art. There are also images of sunglasses, floats, goggles, flippers, bathing suits, sunblock, lounge chairs, hammocks, and more. Click on the summer clip art image you'd like to download and right-click to save it to your computer. All the images here are in .PNG format. 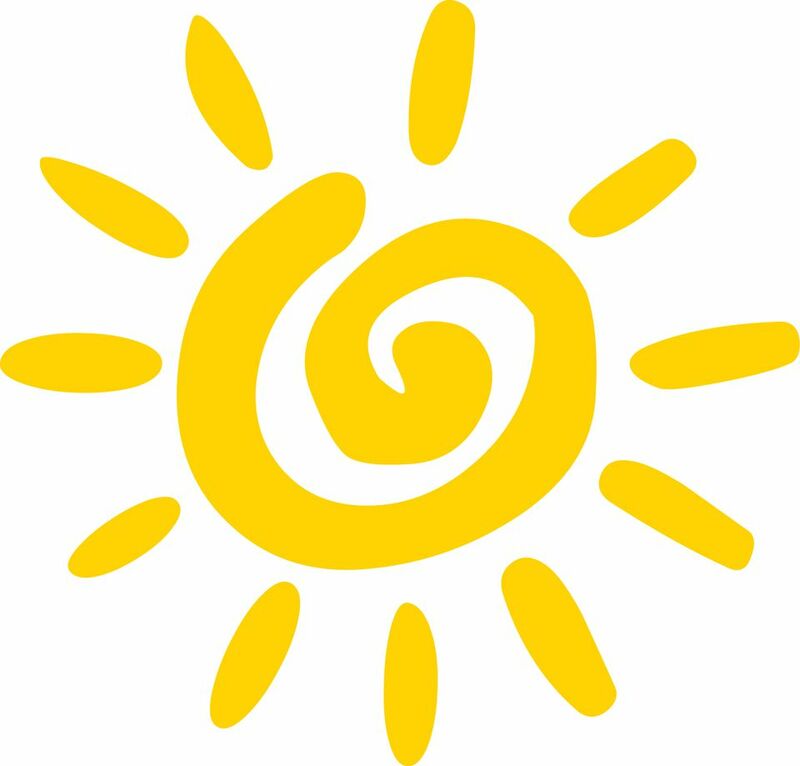 There are more than 5 pages of free summer clip art over at Classroom Clipart. Images include people having fun at the beach, camping, swimming, going on vacation, building sand castles, and spending time with family. It's easy to browse through the pages of the free clip art here because, with a glance, you can see the size of the image. When you're ready to download one of the images, click on it to get the larger size, and then use the button to get your free download. 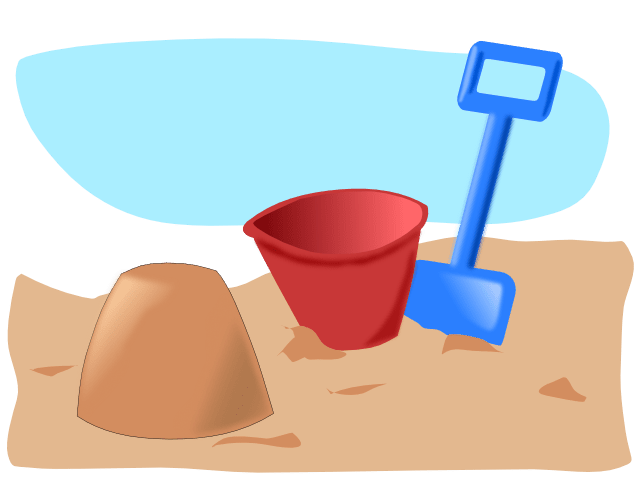 Clip Art Queen has a nice collection of summer clip art that includes images of popsicles, beaches, sand castles, strawberries, flip flops, seashells, airplanes, canoes, drinks, and even hippos enjoying the summer. Click the Download button beneath any of the summer images and a copy of the JPG file will automatically be saved to your computer. There are several large summer clip art images here that will give you the feeling of summer with just a glance. You'll find summer clip art images of the sun, watermelons, beaches, animals, vacationers, and more. Browse through the many pages of free summer clip art here by clicking on Summer Images. In addition to summer clip art, there are also free summer borders and lines. Fun images of suns, beaches, seashells, grills, sea creatures, and more await you.